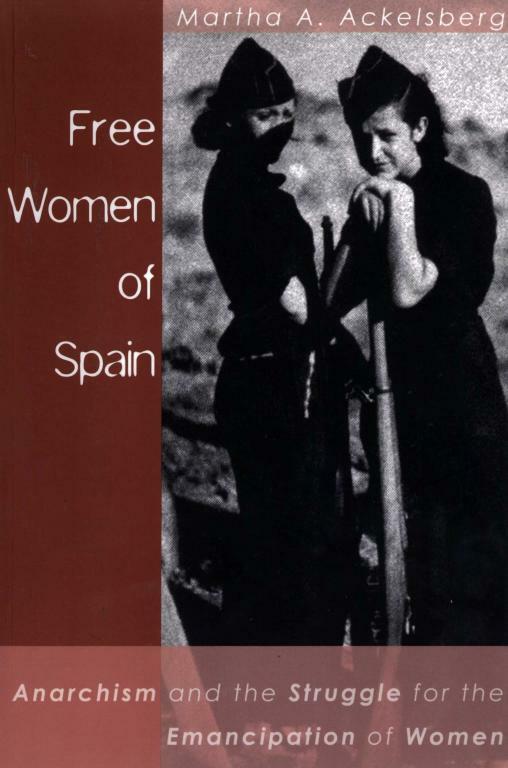 Martha A. Ackelsberg's book on the free women of Spain, the Mujeres Libres. Cowards don't make history; and the women of Mujeres Libres (Free Women) were no cowards. Courageous enough to create revolutionary change in their daily lives, these women mobilized over 20,000 women into an organized network during the Spanish Revolution, to strive for community, education, and equality for women and the emancipation of all. Militants in the anarcho-syndicalist CNT union, Mujeres Libres struggled against fascism, the State, and reaction; and the less than supportive attitudes and concerns of their male comrades. Martha Ackelsberg writes a comprehensive study of Mujeres Libres, intertwining interviews with the women themselves and analysis connecting them with modern feminist movements. This new edition includes additional research Ackelsberg carried out for the Spanish language edition, together with a brand new introduction written in the light of the new social movements, and resurgence of anarchism, post-Seattle. Martha Ackelsberg is a Professor of Government and a member of the Women's Studies Program Committee at Smith College, where she teaches courses in political theory, urban politics, political activism, and feminist theory. She has contributed to a variety of anthologies on women's political activism in the United States. Also available in print from AK Press. Nice one, had a good look about trying to find this. Rather than derail the Rojava news thread, I thought I'd bump this in case anyone was interested in what the Mujeres Libres got up to during the Spanish Revolution. In the Graeber article that was in the Guardian, and in the YPG article Flint links to recently, the impression is given that Mujeres Libres were an armed fighting force at the front, or a specific division directly comparable to those in Rojava. This is false. The formation of Mujeres Libres preceded the outbreak of the civil war. It was an autonomous women's organisation within the Spanish libertarian movement. During the war its chief activities were in self-organised education, care and propaganda in the Republican rearguard. This was not at all insubstantial of course but as an organisation it did not generally demur from the slogan 'men to the front, women to the rear' that was propagated contemporaneously to the reconstitution of the Spanish Republican state from autumn '36. Many women of different political persuasions did volunteer for the fighting in the early days, some of whom later joined Mujeres Libres (when they returned from the front), which grew rapidly during the war and was notable (along with the Catalan Libertarian Youth) in refusing to join the anti-fascist popular front organisations promoted by the Communist Party.